To get started, open up Photoshop on your computer. Under the menu item File, select New. A dialogue box will appear and you can name your document and set the dimensions. TIP: If you are not sure about your dimensions, you may want to size it approximately to the graphic you chose. For example, the graphics I’m using are square so I chose 700 x 700 pixels. I also set the resolution to 72 because I want to share this collage via email and Facebook. If you are planning on printing your collage you may want to set the resolution higher for better print quality. I suggest 300 pixels/inch. Now it’s time to bring your graphic into the document and modify it. 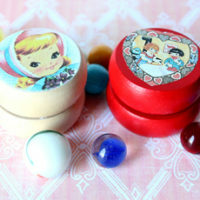 For this particular project, I’ve chosen to use these cute Graphic Fairy images: Cute Little Boy and Darling Little Girl. TIP: If you choose to use a different graphic from the ones selected, try and select one that has a which or light colored background. For this particular collage technique, those will work better. Under the menu item File, select Place and use the pop-up dialogue box to find and select the graphic you’ve saved to your computer. The graphic will appear with a black outline called a “bounding box”. If you hover your mouse cursor just outside of one of the corners, you’ll see a double-headed arrow appear indicating you can resize from that point. 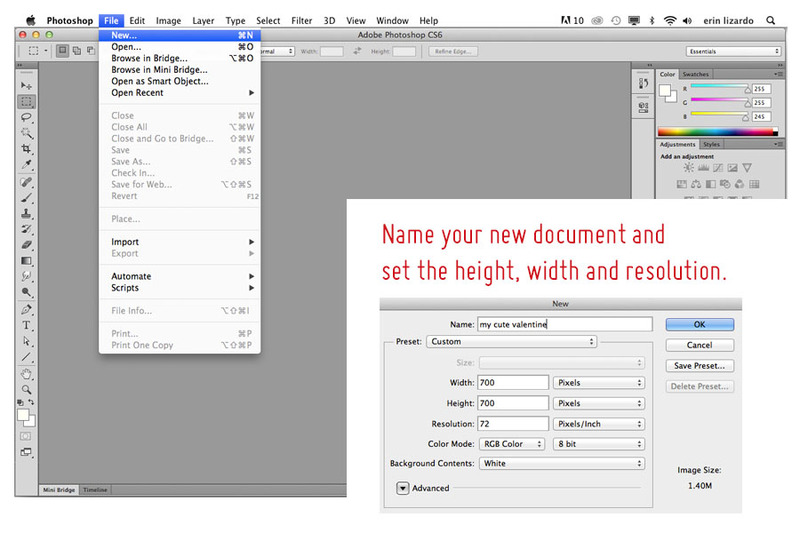 Click and drag out to resize your graphic. To maintain your proportions, hold shift while you click and drag. Once your image is the size you want it, double-click within the bounding box to commit those changes. With your graphic rasterized, you’re ready to use the Eraser Tool to modify. I’m really only interested in the frame, so I’m erasing the boy. You can change the size of the eraser by adjusting the items in the Options Bar. 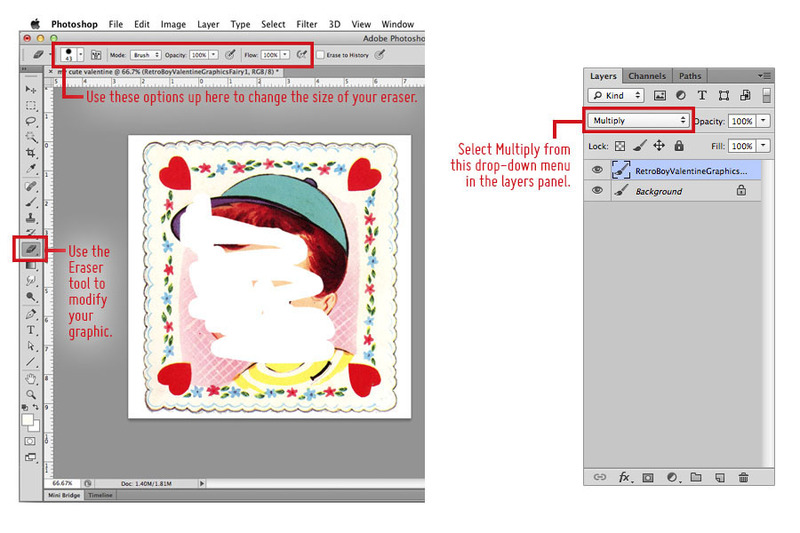 Next, in your Layers panel, open the drop-down menu labeled “Normal” and select “Multiply”. This will make all the light areas of your graphic transparent. Now, lets place our photo in our document. Again, go to the menu item File and select Place. 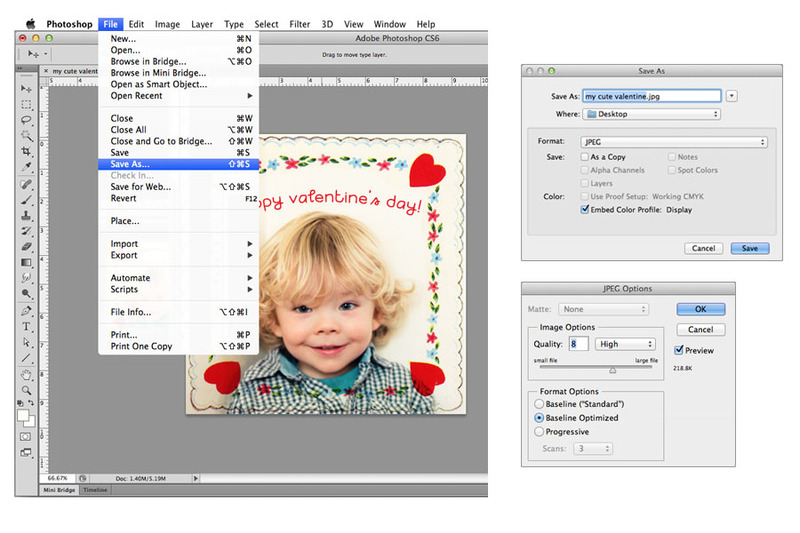 Find and select your image file and resize by dragging out the corners of the bounding box. Remember, hold shift while you click and drag to keep your photos original proportions. 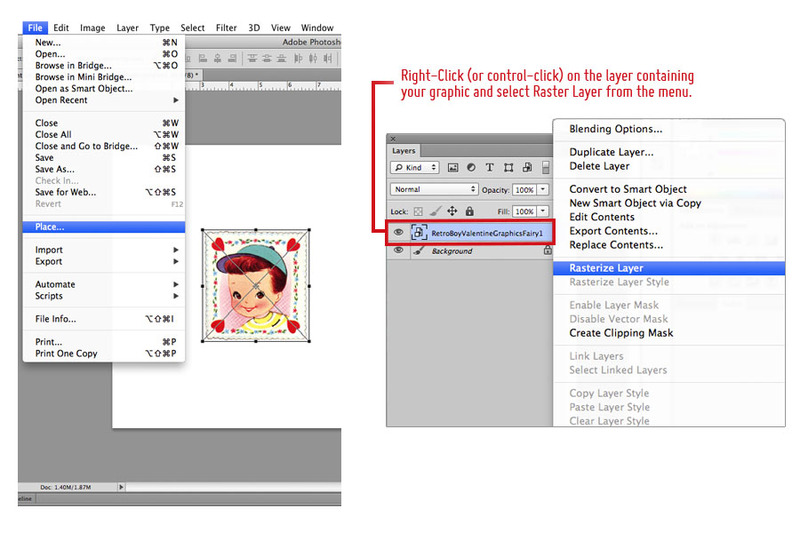 If your photo is in front of your graphic you can change the order of the layers in the Layers Panel. 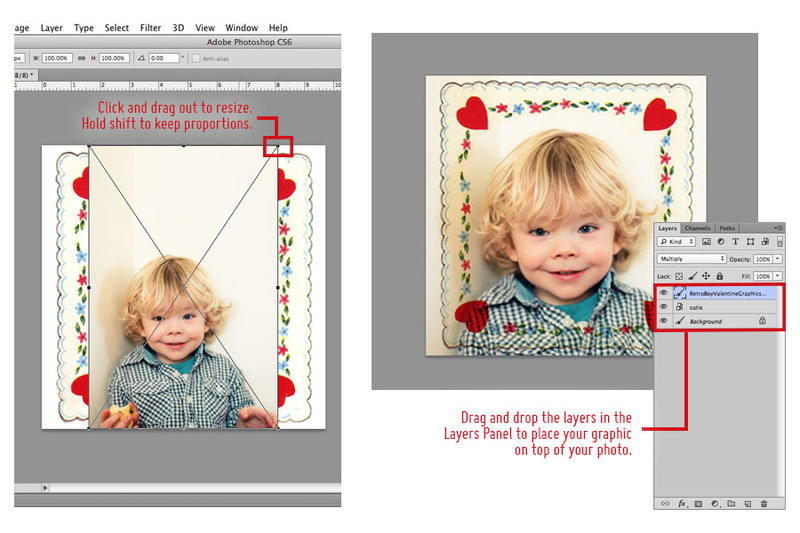 Just click drag and drop the layer containing your photo beneath the graphic’s layer. To complete our collage, lets add some text. 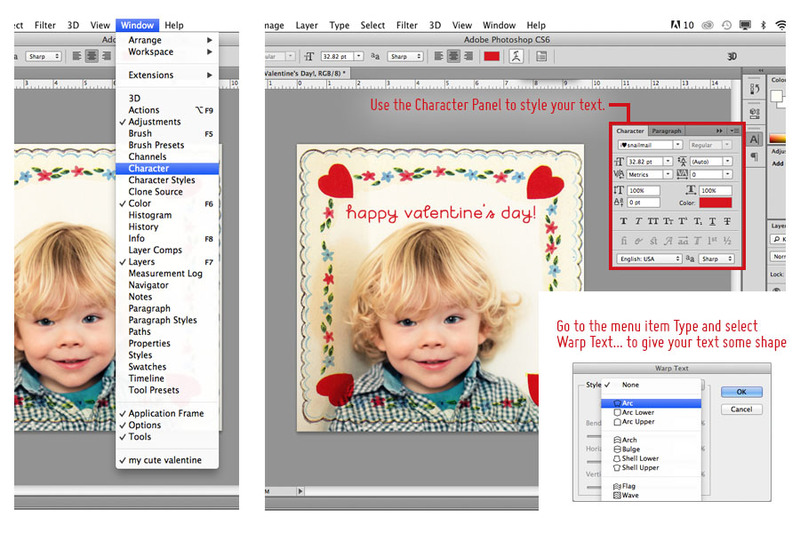 Select the Text Tool and click anywhere on the canvas. Type your text and press control + enter (or command + enter). To style the text we’ll use the Character Panel. If your Character Panel isn’t open, go the menu item Window and select Character from the list. You can modify the font, size, color etc. Finally, let’s save our collage as a JPEG file so you can share it. Go to the menu item File and select Save As… In the Save As dialogue box, name your collage and choose where it will be saved on your computer. Then select JPEG in the Format drop-down menu and click Save. Next you’ll see a JPEG Options dialogue box. 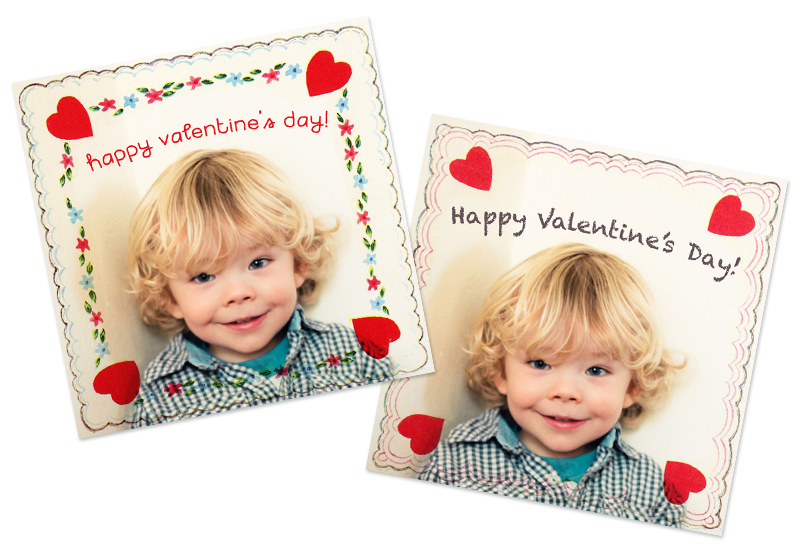 For web, set your quality to 8 (set higher for printing) and click OK.
Now enjoy sharing your digital Valentine’s collage! To view Erin’s amazing video, simply click on the play button below! 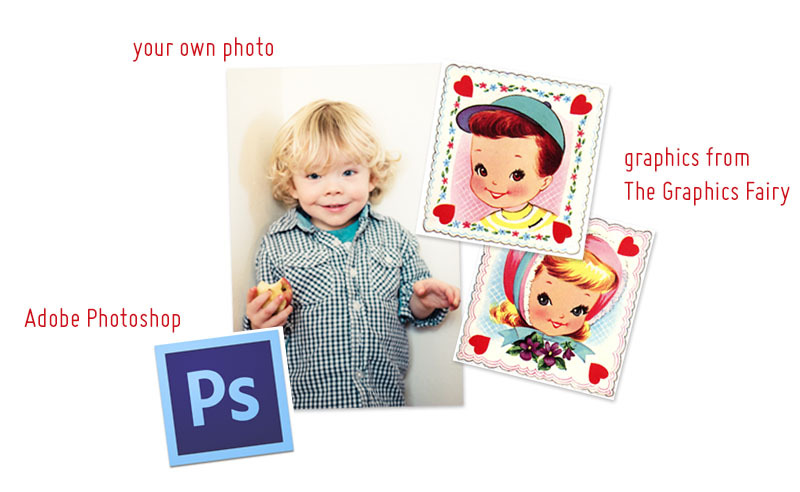 If you are interested in taking Erin’s excellent online course, Photoshop for Blogging: Creating Collages, you are in luck! She is offering my readers an exclusive discount! You can use the discount code, FAIRY14 to get $5 off of the class, which makes the course only $15! Click –> HERE to sign up! 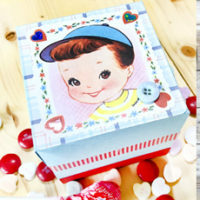 DIY Retro Valentine Exploding Candy Box! 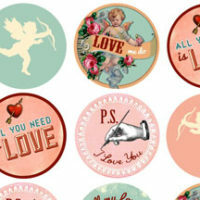 Valentine Printables – Labels – Flags – Cupcake Toppers! 14 Best DIY Valentine’s Day Ideas! Thanks! this is a great tutorial and i just went to skill share and watched the first 2 of her photoshop for blogging videos. Thanks for the discount code! I’m glad you enjoyed it Gayle! Erin’s a great teacher isn’t she? She really breaks everything down so that you can understand it easily! !